Want to know more about Punktur? We are an icelandic horses stable in Poland. 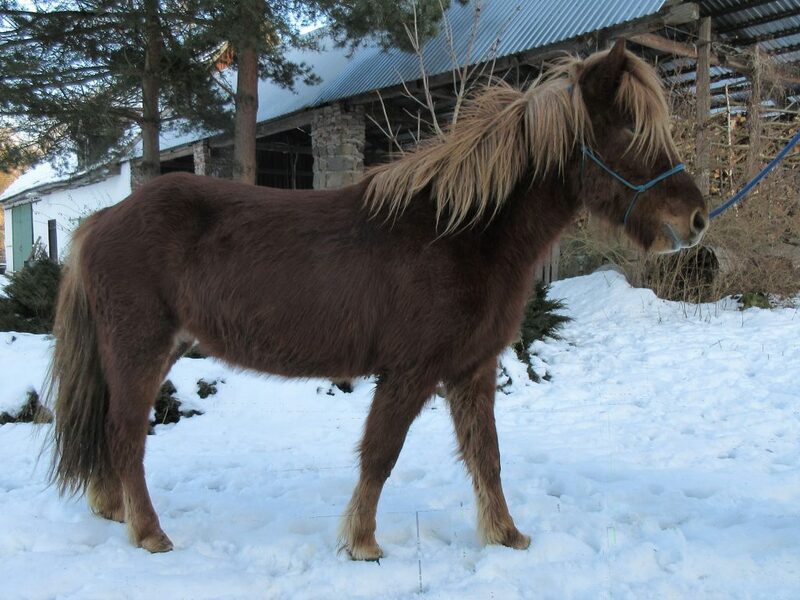 We breed Icelandic horses, let them grow up, ride them and sell them to people who love them. 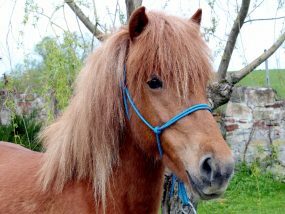 Elselien Klein of Punktur Icelandic Horses wrote the book “IJslanders begrijpen”. 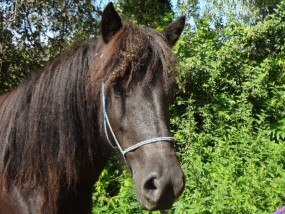 Thella is a young mare who felt very fearless and cool when riding her from the first time. She rides back and forth on the road, without looking up from anything. For her it is all common to life and she is not impressed by it. This makes her very venturous, quirky and frolic. She needs someone who is able to sense this and give her borders because otherwise the whole world will be her playground. Thella has also from the very beginning a comfortable, easy to ride tölt. It is obvious that tölt is her favourite gate. Cool Thella with an lovely tölt is clearly the daughter of two of our favourite horses. 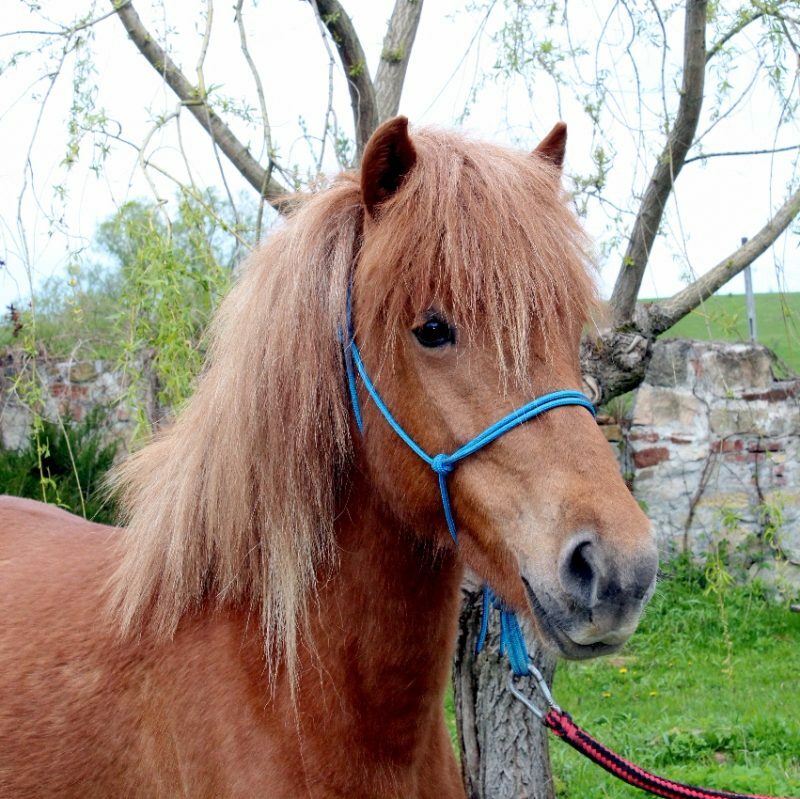 Her mother Alda is a friendly, easy going mare whith an amazing tölt who always likes to go for a ride and her father Vignir is a cool teddy bear who is not afraid of anything. At this moment, Thella is enjoying a nice holiday after her first riding period. This training was very easy, following or going in front did not matter for her and tölt was even more easy. The next step is to go to the forest with her and show her some more of the world. 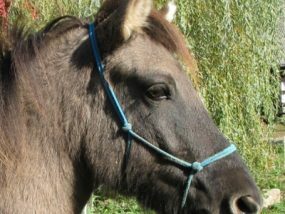 The reason why we have this fantastic young mare for sale is because she has a slight underbite. 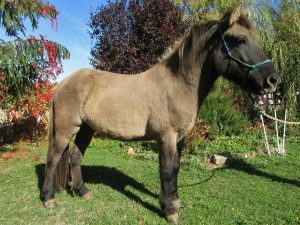 It is no problem at all for her, but at this moment, we have so many good breeding mares that we have to make a choice about which we keep for breeding and which not and so it is a reason to sell her. 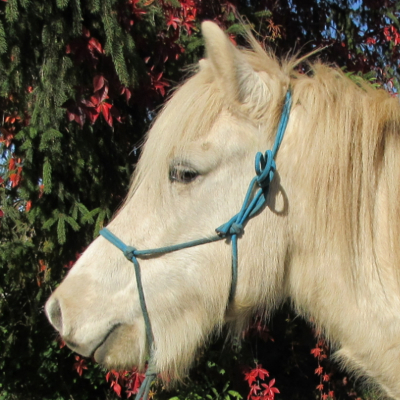 For Thella we are looking for someone who likes a willful horse with a sense of humour and who wants to explore the wide world together with her. In the beginnning, Stjarna had to figure out what tölt was with her long legs. But after a few times she got it and it became very easy. She had a first riding period and it went all very well. Happily she rides back and forth on the road, from time to time ahead of the rest. She needs a rider who can give her confidence and tells her that this plastic bag is not doing anything. But then there is no more problem and she passes it easily. Stjarna has a comfortable tölt that is easy to ride. Also the acceptance of the bit is remarkably good. With only a noseband and bitless, she now feels a little too strong. 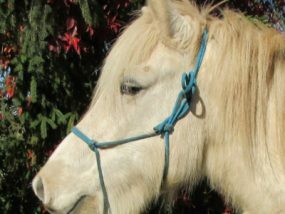 She shows this by shaking her head, but if you take the bit with a soft contact, she follows nice and quiet the reins as a young horse. Apart from that, Stjarna is a real lady with leading capacities. She likes the things to go on her way, but if you clarify that your way is also good, it is good for her too. But you should not demand anything from her because that is not the way you treat a real lady. Despite Stjarna is a nice young mare, we offer her for sale. 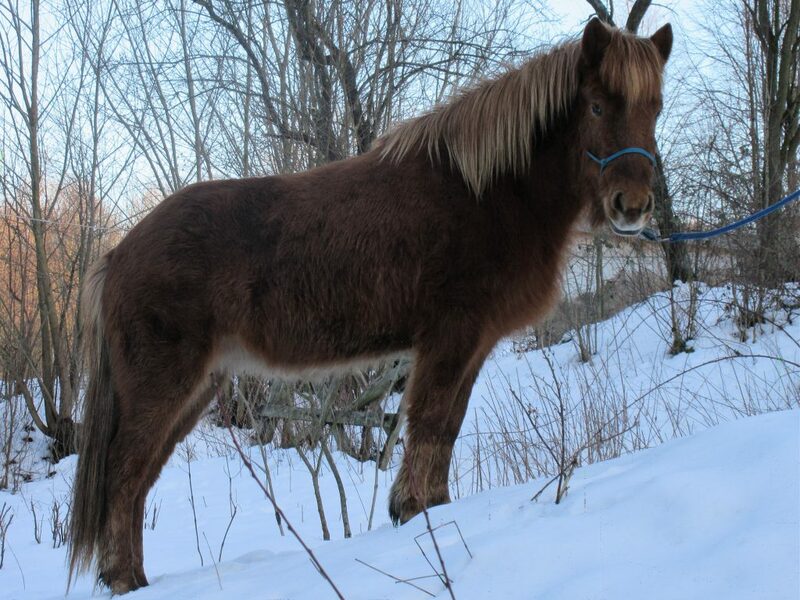 At this moment there is a big choice of good breeding mares and for the breeding goal of Punktur (strong, compact, old type Icelandic horse), she is just too elegant. We assume that she will be firmer when she grows out, because her parents are both strongly built. Stjarna is looking for someone to rely on and who wants to build everything easily out and afterwards make nice rides and maybe a competition. Well, she is really a horse to bring further, as a recreation horse she will be fantastic, but she also has the abilities to go further. She has a bright future if she finds a friendly and fitting owner. Gulviðir is a nice and solidly build gelding. What is particulairy striking about Gulviðir is his colour. 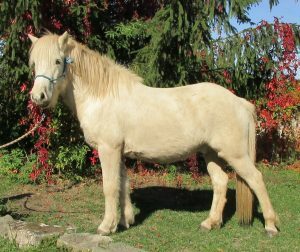 A palomino so light that he is more often then not mistaken for a grey horse. A horse that you will mostly see in the meadow playing with the other horses. Gulviðir is a horse that is always a bit tense when he meets new things on the road. With a calm voice and gentle support he will take any barrier. The next day you will not notice he was anxious the day before. He saw, he came and he conquered. Tölt is easily ridden, but his tempo is still very slow. We expect that Gulviðir will develop to become an easy and endless tölter. Kumen is a young gelding, now 4 years old. In the meadow you always spot him, his size and colour make him a real eye-catcher. He is very social, very often he will come to you to say hello or make some contact and besides that he loves to play with the other horses in the herd. Kumen is still developping in his training. He learns quick, working in the roundpenn, the bit and the saddle all went very easy. Ridin as a hand-horse is something he likes. That’s why he was used as a hand-horse on the open day. He did great, walking along with his companion and enoying all the people watching him. Kumen has had little training under the rider. At the moment he is in training again. Kumen is a very gentle horse while riding, now he mostly shows a very lateral tölt. We expect his beat to become clearer as his training continues. Nykra is a large, finely-built foxmare without extra markings and with plenty beautiful manes and an elegant head with a sweet expression. That sweetness you will notice both during riding and handling. Because ot this the training periods with her were all easy. She is smart, sensitive and not easily impressed by strange things and she loves working with you. This all makes an ideal combination for training and learning. 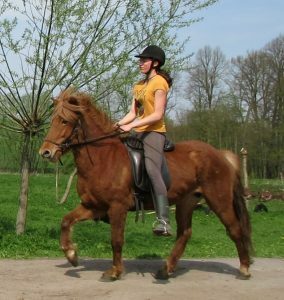 She is a mare who, despite her young age, goes with you for a field ride, as the front horse or alone with you, easy and stable. 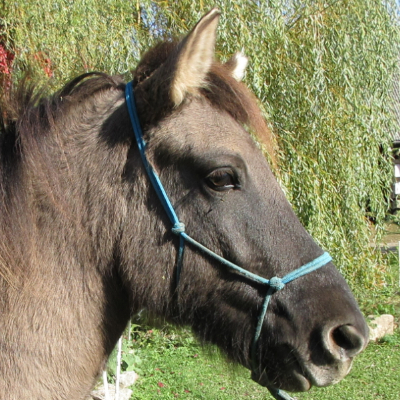 Nykra has spacious gaits, an easy to ride tölt and a lot of enthousiasm, she loves riding. 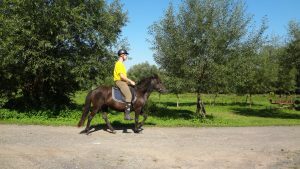 This, together with her cheerful temperament, makes her an enthousiastic but well-behaved mare who likes to make journeys, walks and ridings with lots of tölt. Nykra has an open, social and sweet character. So she will always be happy when she can do things together with you. This can be out for a ride, ground work or just a good brushing. Askja is a horse that needed some more time to grow up. As a young mare she behaved like a clown. We always felt that she is a quality horse, but she had it all covered under a hard shell of stress. This summer Askja has learned a lot with our intern. Riding outside in the forest, in the group or in front and also alone. With everything she is now a very fine horse to ride. 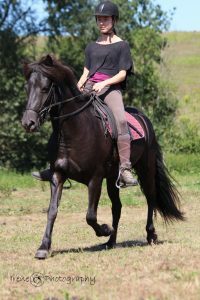 Ahe has grown out of all the stress and now get the fun of riding. She is a sensitive horse, light on your aids, cooperative and happy. Askja is a forward thinking horse and a great tölter, from slow to higher speed. Also she has an easy trot and a nice canter. 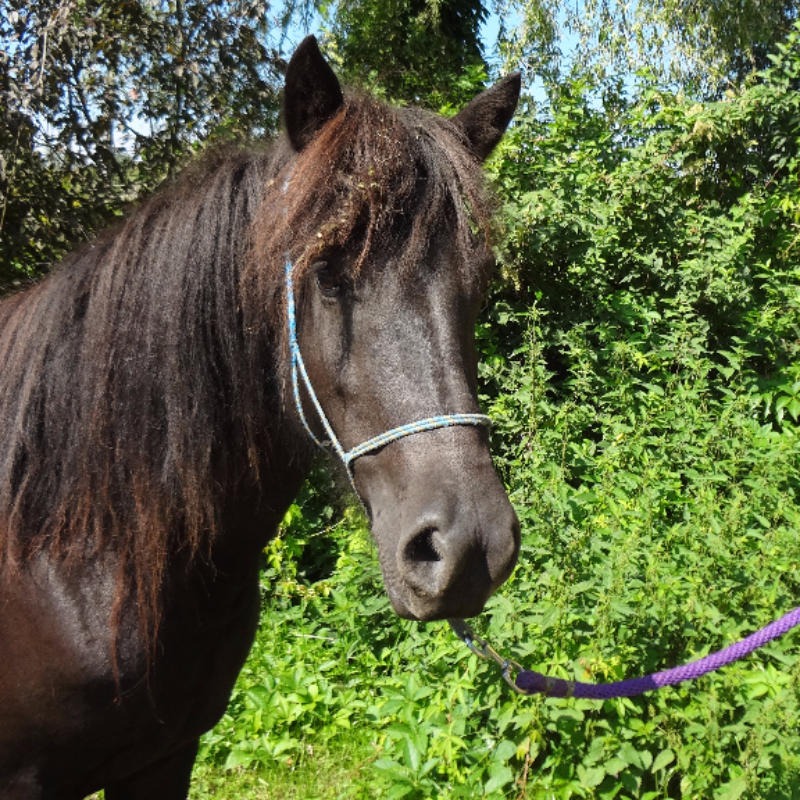 Askja is a mare with a lot of potential, but clearly looking for her own human to become a team with.